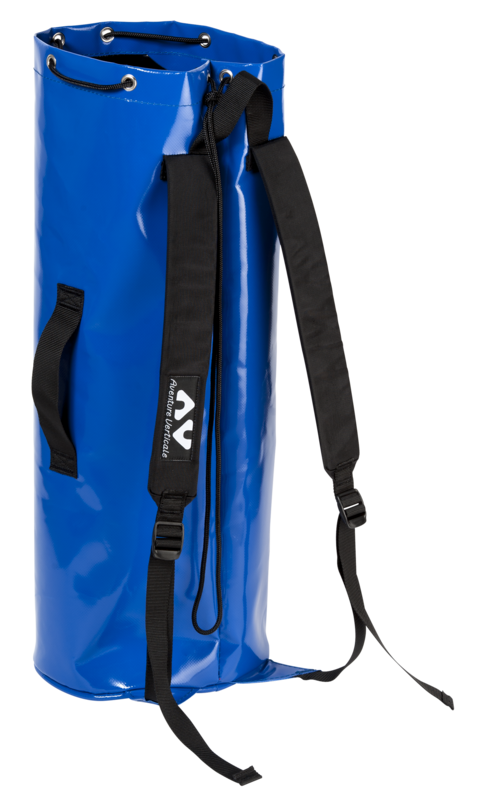 Caving bag in varnished PVC 1100 dTex 900g/m² canvas. 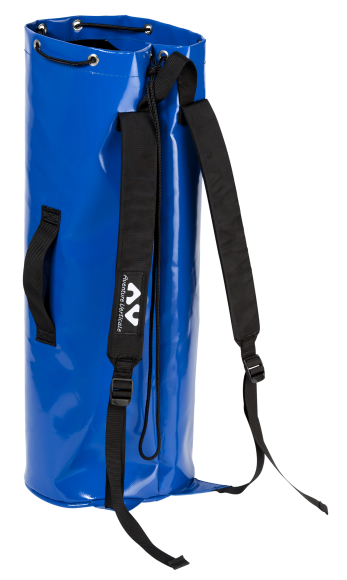 Bottom with stitch protective piping in Hypalon®, specially conceived for carrying heavy loads. Model with one bottom handle, one hoisting handle and two side handles. A lanyard. Two inside gear loops and an inside flap. Closure by eyelets and string (can be used with the AVSP94 Blockcord). Two adjustable padded shoulder straps (tubular and foam). Can be also used to carry oxygen bottles.